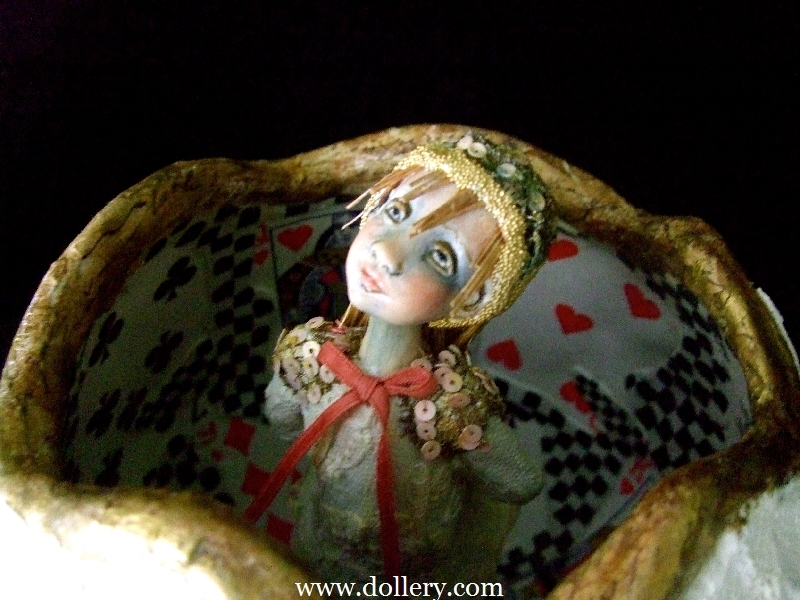 One of a Kind, Gourd body, Apoxie Clay and Prosculpt. 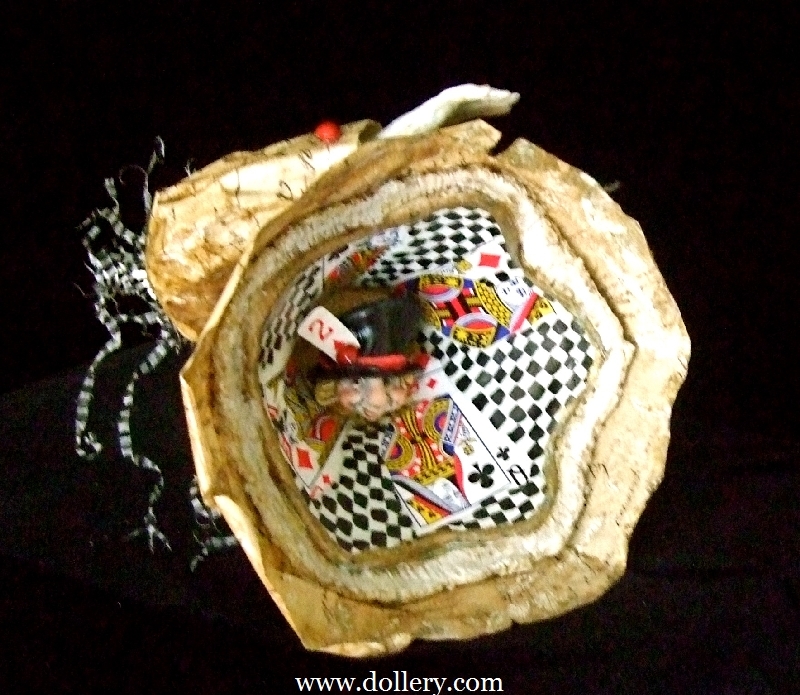 1883 French Journal pages, assorted coral seeds, antique fabrics and trims. 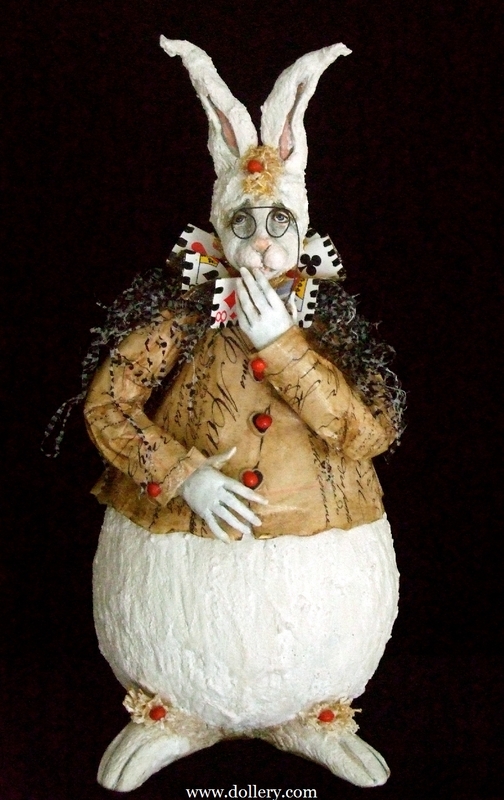 Approximately 22"
Marilyn sculpted a gourd bodied rabbit which opens to reveal a tiny Mad Hatter in the upper inside of the rabbit and Alice standing in the lower half. These are permanently attached. 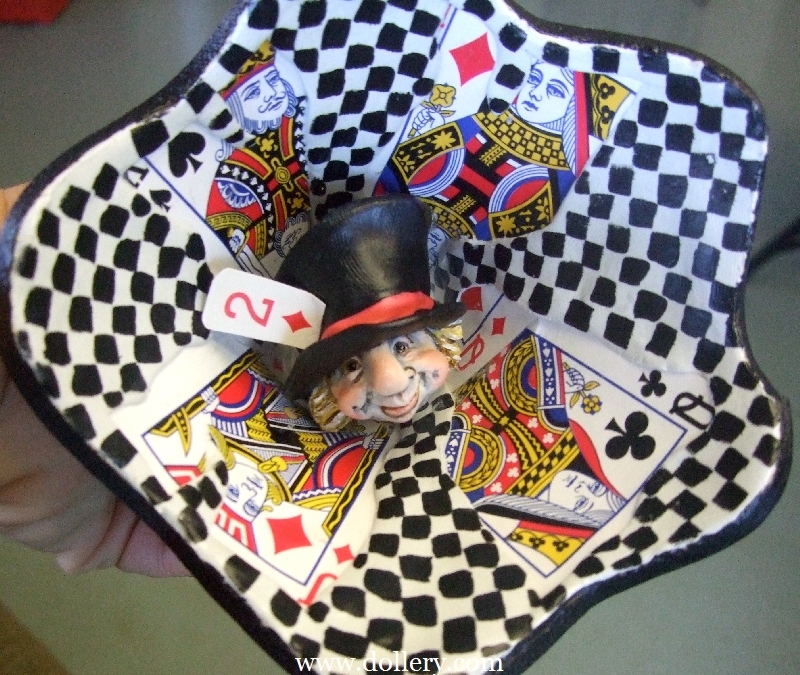 The collar of the rabbit is made from playing cards and the jacket from an 1883 hand written French journal page. 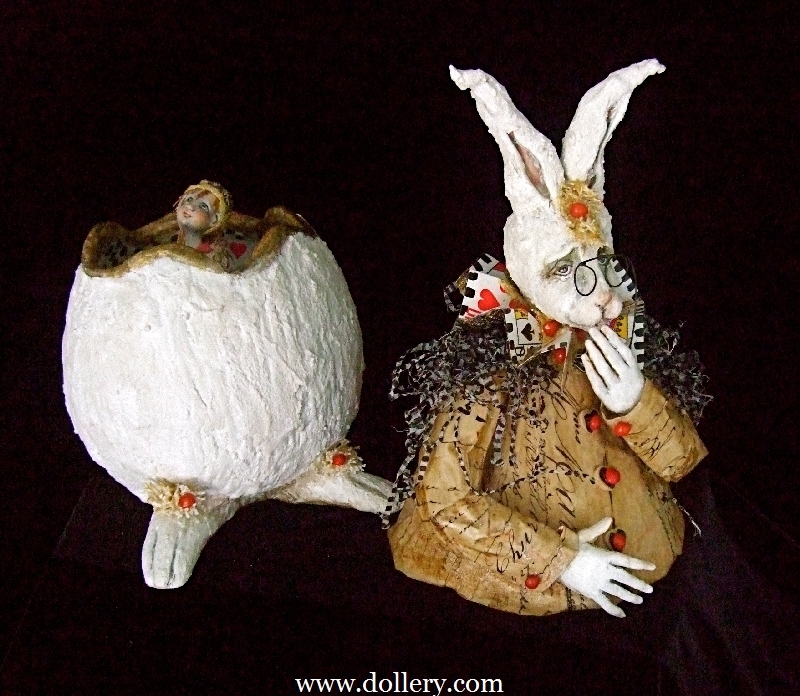 The buttons are red seeds and the hair on the rabbit's head, tail and feet is made from preserved coral pieces. 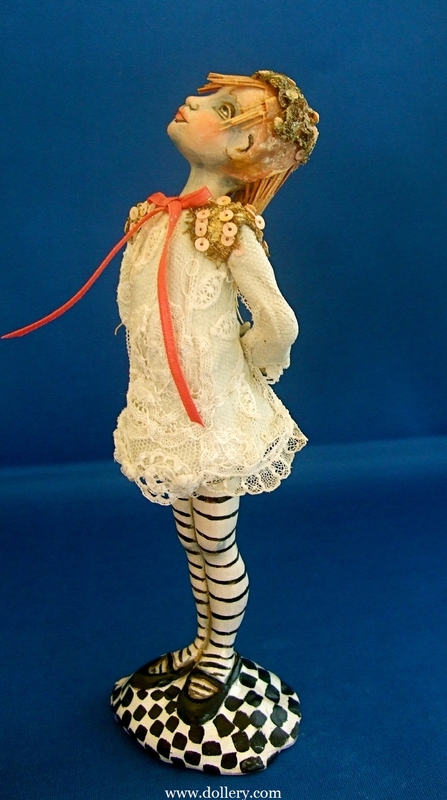 Alice's hair is made with raffia and her dress is created from antique lace & trim.